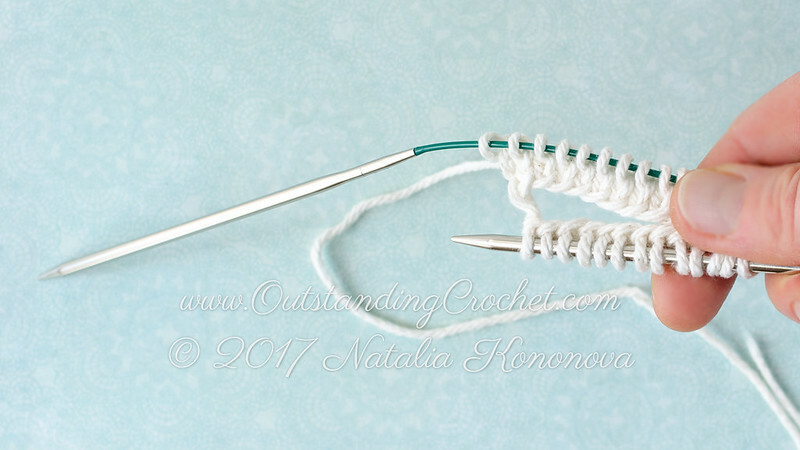 Outstanding Crochet: Free knitting tutorial - How to Knit Socks, Sleeves, Mittens on Any Size Circular Needles. 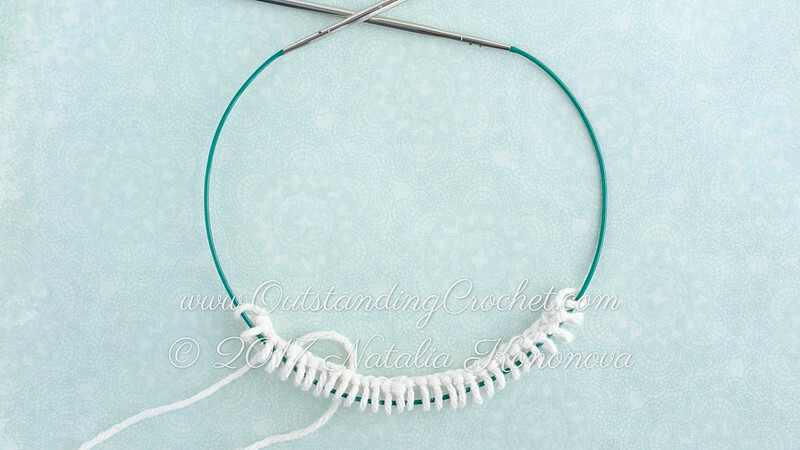 Free knitting tutorial - How to Knit Socks, Sleeves, Mittens on Any Size Circular Needles. I encountered this problem when was designing seamless kids hoodies and hats. 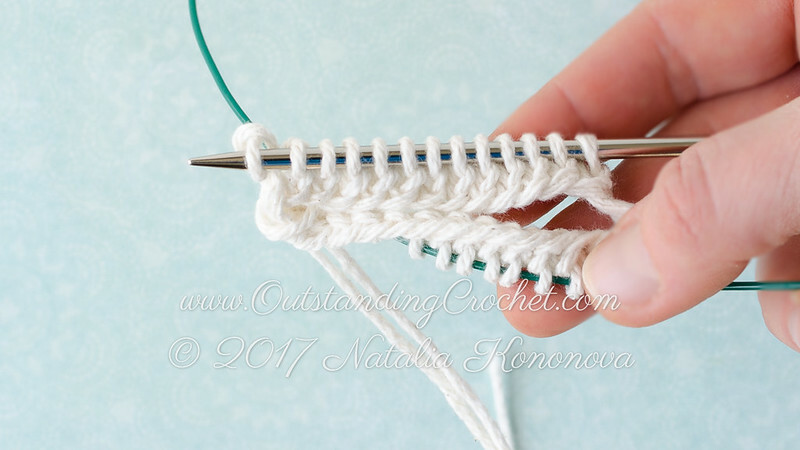 Any circular needles would be too long for kids sleeves and for the smallest hat size. 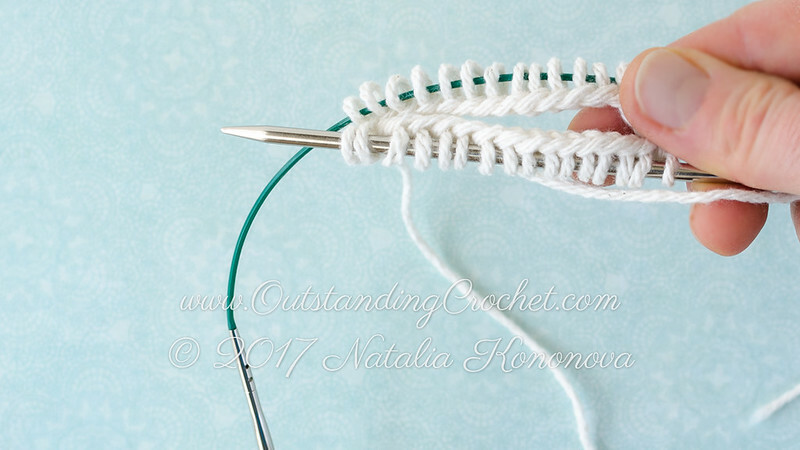 You can also download this tutorial as PDF here (clickable link, size 400 Kb) to always have it handy. to receive news and discounts as a member! 1. Cast on required number of sts plus 1 extra st.
2. 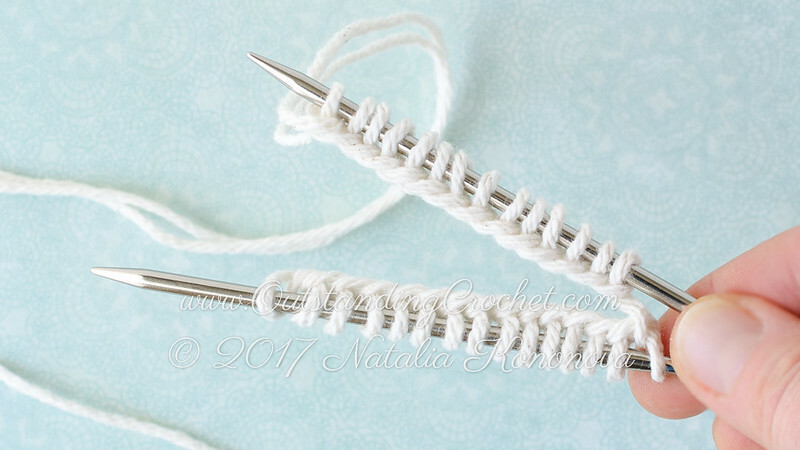 Pull one needle out if you used both needles. 3. Slide sts to the cable. 4. Divide sts in half and pull the cable out creating a loop in that spot. 5. Slide sts to the needle points. Make sure the edge is not twisted and you are facing RS. 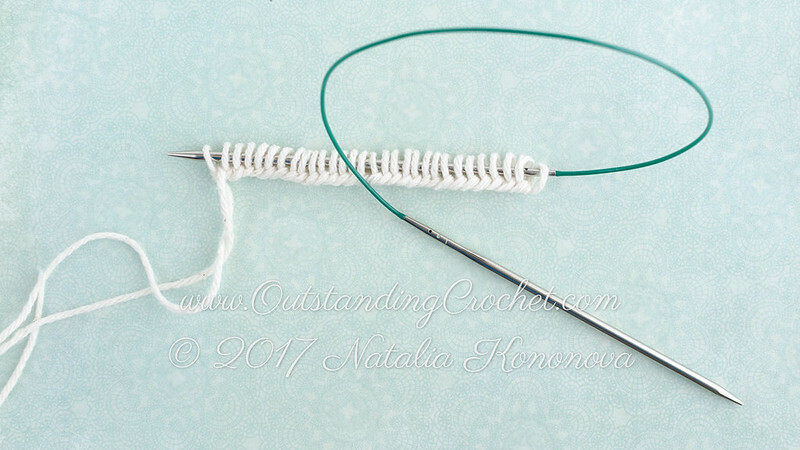 RH needle is with working yarn end. 6. 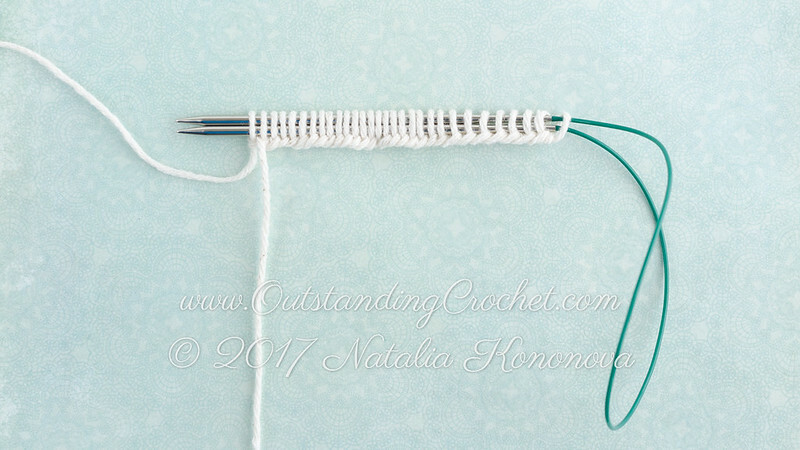 Connecting in rnd: slip last cast on st from RH needle to LH needle. 7. 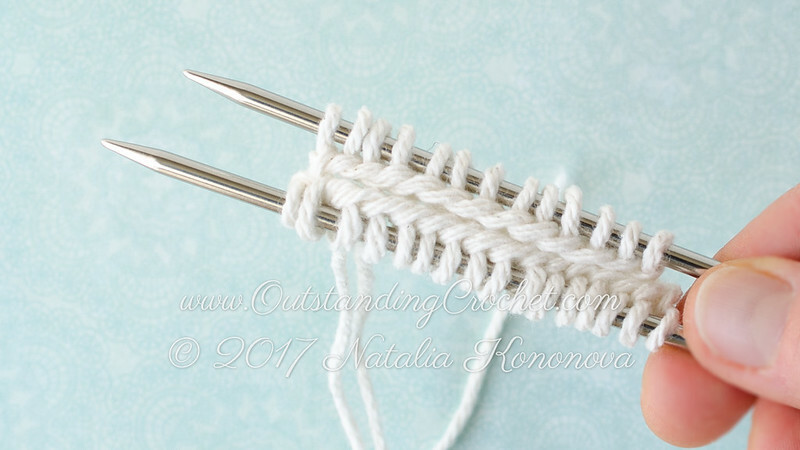 Pull RH needle out with enough cable for you to comfortably knit with it – about the length of the needle. 8. 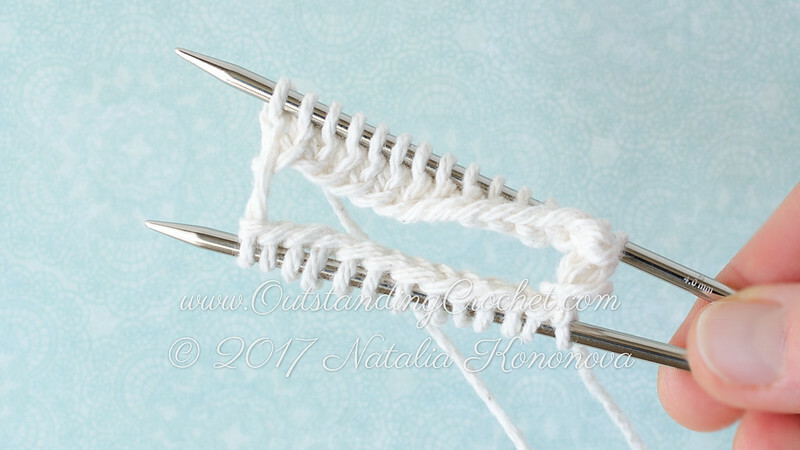 Knit (or purl, depending on your pattern) 2 sts together – last cast on extra st and 1st cast on st – rnd is connected. Knit all sts from LH needle. 9. *When you finish LH needle drops. 10. 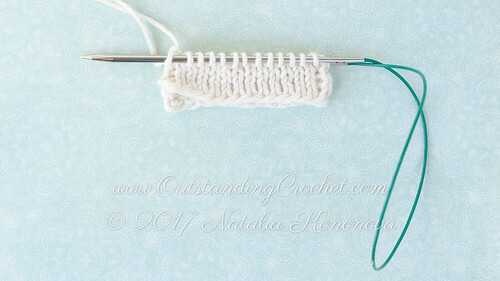 Pull cable so sts from the cable slide to LH needle. 11. 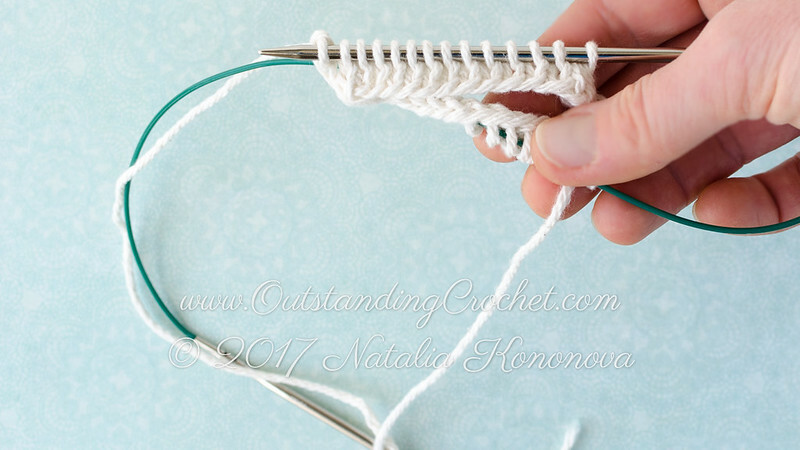 Pull RH needle out again with enough cable for you to comfortably knit with it. 12. 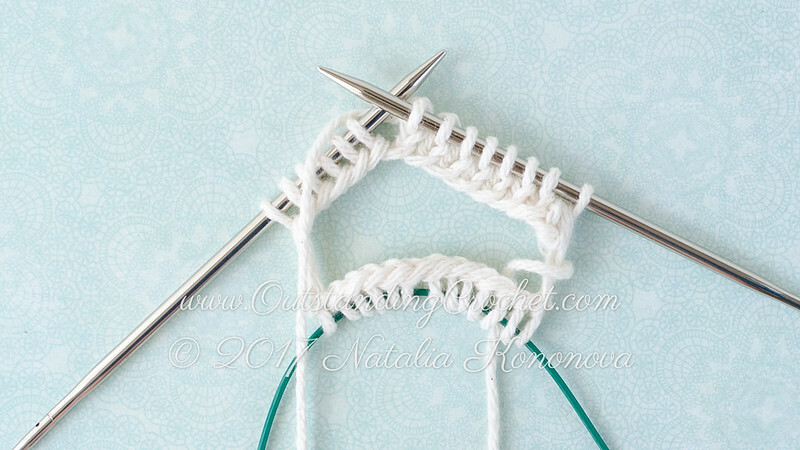 Knit 1st st from LH needle. 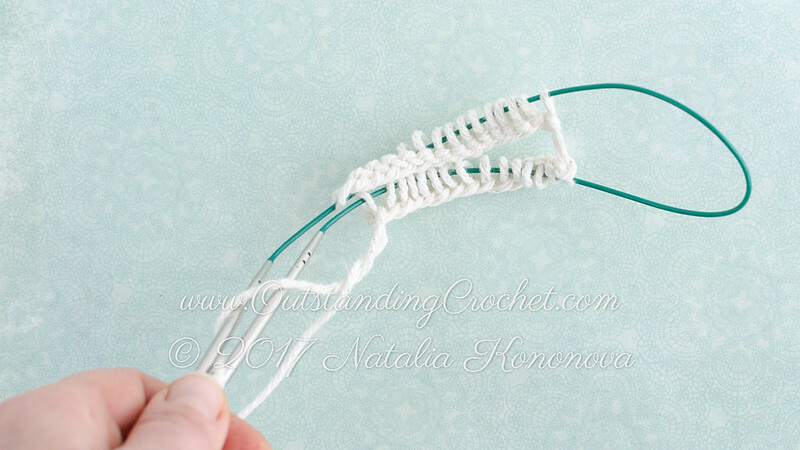 Pull working yarn with force to tighten last 2 sts. Because of the gap bet needles last 2 sts may be left very loose if you skip this step. Knit rem sts. Place marker on cast on rnd to mark beg. Repeat from * - step 9. Please, stop it. All such comment will be deleted.